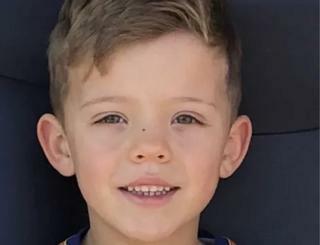 A seven-year-old boy was electrocuted at a pub in Romford, north-east London, as he tried to retrieve his ball, the Met Police has confirmed. Harvey Tyrrell, from Harold Wood, was climbing over the garden wall in the King Harold Pub in Station Road, Harold Wood, when he was injured at about 17:20 on 11 September 2018. He was pronounced dead in hospital about an hour later, the Met said. A 70-year-old man and a 72-year-old man have been interviewed under caution. A file has also been sent to the Crown Prosecution Service.